Swimming in the London Thames, as David Walliams knows, is a risky business. It involves a precautionary course of antibiotics and a reasonable dose of madness. 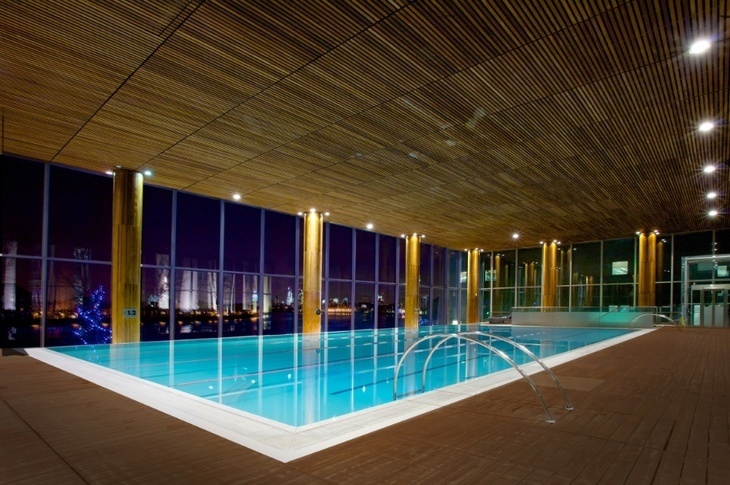 The alternative is this infinity pool in Canary Wharf. Canary Riverside is a 20m-long stretch of heated water which, from most angles, appears to join with the (somewhat greyer) river rolling by outside. Dead ahead is the handsome Columbia Wharf; today it's a swanky bar and restaurant, but from across the water you can still imagine it as the storage facility for tea, coffee, cocoa and dried fruits, that it was until the mid 1970s. 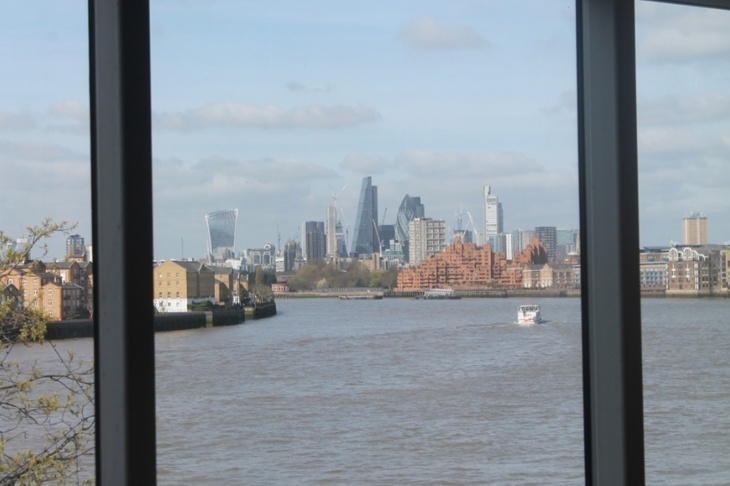 Round a bend in the river to the west is the City of London money shot — with The Shard, Walkie-Talkie and Cheesegrater nudging into view. It's a strange feeling to be doing breaststroke, then get overtaken by a Thames Clipper. Other strange touches pull you into the Thames too, like the trees on the banks outside, which reflect in the pool's water. 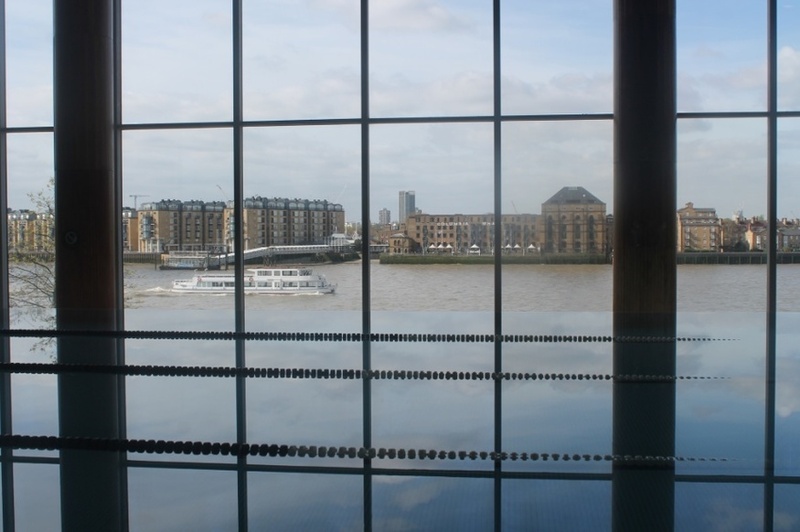 Surprising though it is, there are a few swimming pools that overlook the Thames. None of the others give you this sensation though. We spoke to the lifeguard on duty, and for him, the beauty of being a regular is getting to witness the Thames in all kinds of weather, and all spectrums of light. He tells us he's looking forward to witnessing a thunderstorm — pretty electrifying stuff, with the rain lashing on the windows and river. It's just a shame they don't have a jet stream, like the Savoy's pool. Oh, and if you've got a niggling feeling you've seen this place somewhere before, try superimposing Shanghai onto the background. Daniel Craig does an angry length in this pool in Skyfall — although in this case, Canary Riverside is posing as a rooftop pool overlooking the Yangtze. Very impressive Mr Bond, but we prefer the views of London. As you might expect, a swim in this pool doesn't come cheap. 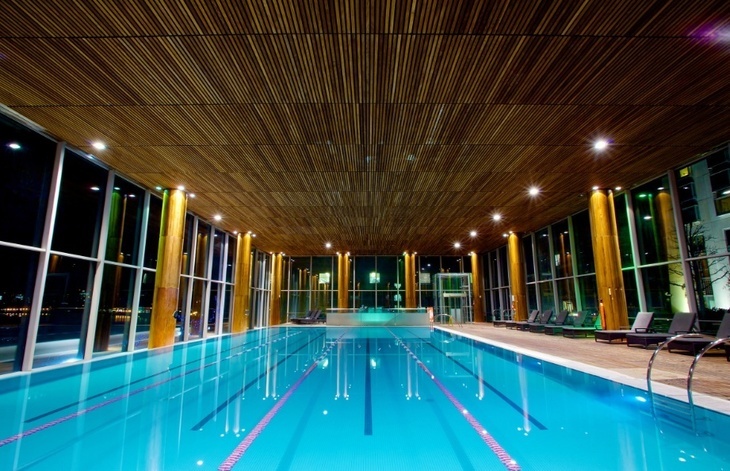 You'll have to sign up as a Virgin Active member (from £115 per month, plus £50 joining fee), or treat yourself to night at the Canary Riverside Plaza, which gives you complimentary access to the pool and spa. 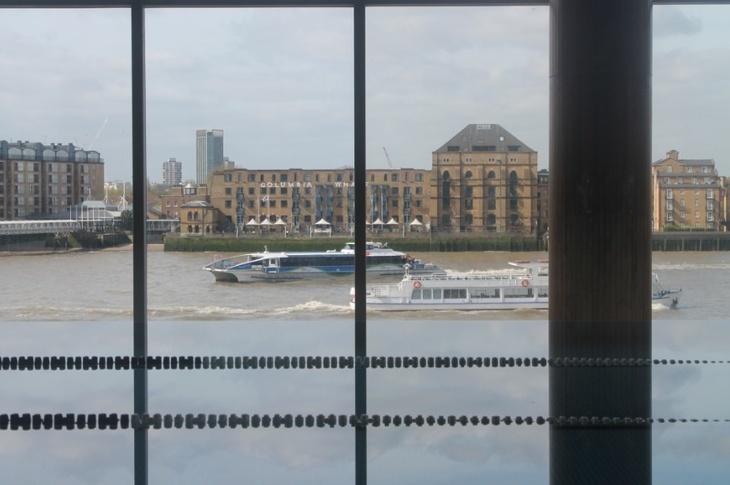 And if you like these, how about the London swimming pool that's in a church?